My childhood is associated with stories and animated films about Pokémon. 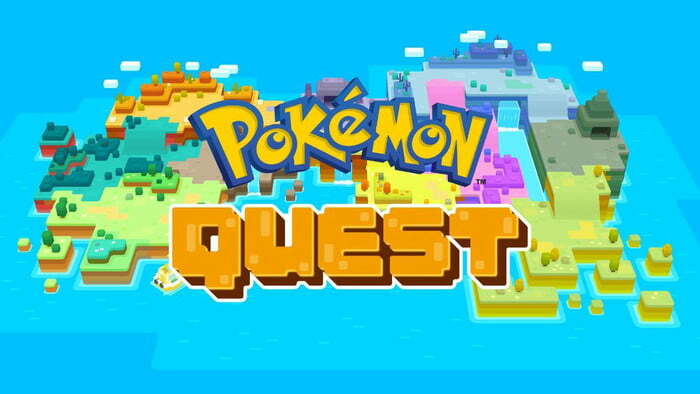 Pokémon Quest is the third adventure role-playing game in Nintendo’s Pokémon series, alongside two games Pokémon Let’s Go Pikachu! and Pokémon Let’s Go Eevee!. This game was developed by Game Freak and is produced by Nintendo and The Pokemon Company, an official Pokémon game for lovers of these cute animals. Within a few days of launching on the Nintendo Switch, the game has reached one million downloads and has huge sales. Finally, it has officially appeared on two Appstore and Google Play stores, allowing you to download for free. 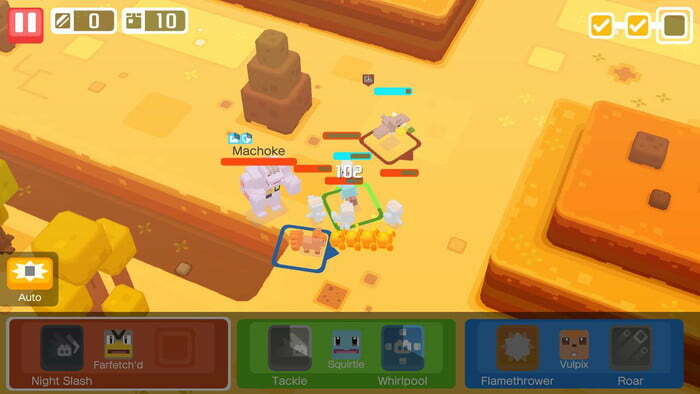 Pokémon Quest features a voxel-style vignette like Minecraft, a style you have never seen in other Pokémon games. Scenery such as castles, lakes, oases, and bushes are also designed in block style, which looks quite unique and fancy. Each detail in this game reminiscent of old, classic games you have ever liked. Pokémon are like cubes, making you feel funny. The game is fun, requires no speed or complex manipulation, so not only adults but children can also play. In particular, this game has the ability to help you back up the data you’ve played and encourage players to do it often. So if you accidentally delete a game on your phone or buy a new phone, you will not have to play it again. The plot of the game is based on Pokémon Red and Blue. 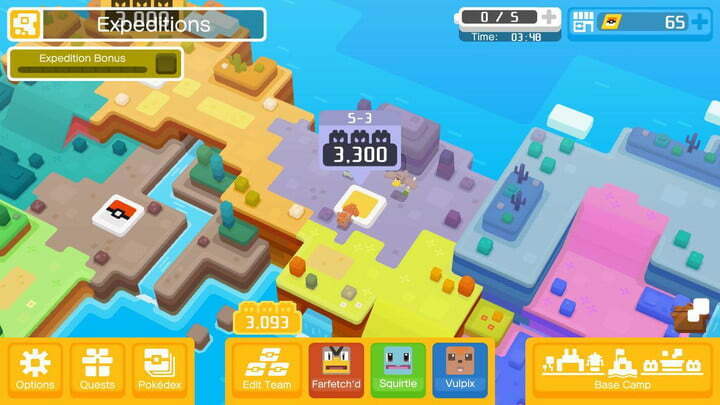 In Pokémon Quest, you will be an animal trainer, taking part in the journey to find the most powerful and rare animals in the Tumblecube island. Start exploring this island with the help of cute friends, find hidden treasures hidden. In addition, players can collect wild Pokemon by collecting them, using the ingredients you collect to cook delicious food to attract them. Then you will have to use them to fight other fierce animals in the forest. To complete the adventure, you must pass through 12 different locations, each with 3 to 7 levels. Each level is an opportunity for you to collect new Pokémon. The island of Tumblecube is very large, so you will spend a lot of time exploring the entire island. Treasures contain gems that help you upgrade your Pokémon’s power, creating the most powerful animals. Besides, you can build your own campsite through Camp Base. This is where you feed your animals, cook the best food and take care of them. Pokémon will be happy in a nice campsite, so don’t hesitate to buy some decorations for your campsite. You can cook one of 18 kinds of delicious food, each species of Pokémon enjoy a different dish depending on their taste. In the current version, a total of 151 different species of Pokémon. Training and equipping strength gems are two ways to improve your Pokémon’s strength. Each species possesses different special abilities, corresponding to one skill. Some species have more than one skill, but it is not easy to catch them. Explore the jungles, vast deserts or mysterious marshes to find out the powerful Pokémon. The publisher will continue to update new Pokémon to players looking for unlimited. If you love Pokémon, this is a game you can not ignore. Pokémon Quest supports Android 4.4 with 2GB RAM or above. For iOS, the game supports iOS 9.0 or later. Pokémon Quest MOD APK is ready to download! 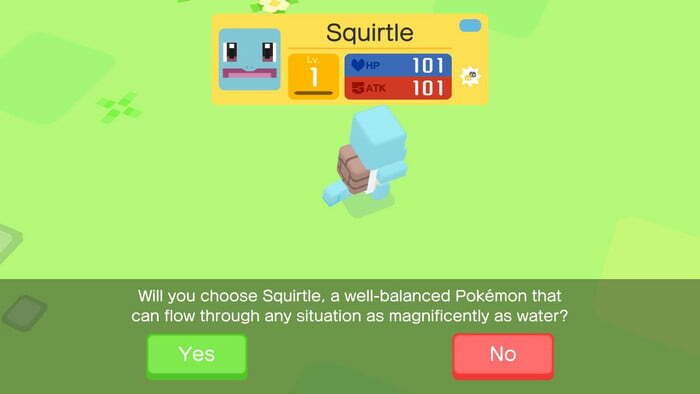 Depending on your needs, you can download Pokémon Quest MOD APK or Pokémon Quest Original APK. Or install from Google Play / App Store if you want.